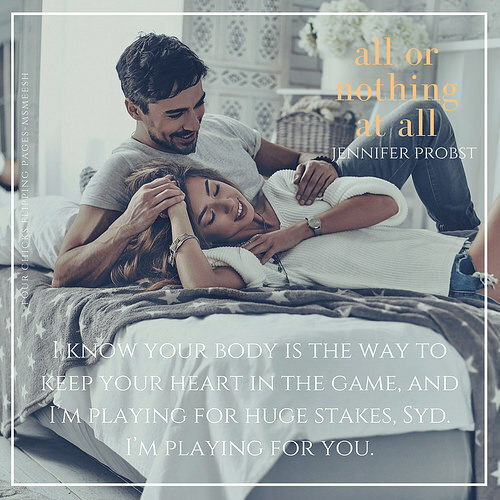 Jennifer Probst has hammered her way into my heart once again as she builds and nails the foundation of love in this sweet, charming and emotional second chance romance in All Or Nothing At All. Sydney Greene has loved Tristan Pierce all her life. He was her first love and will always have a place in her heart but when Tristan left to go to New York, she let him go to pursue his career. She also didn’t inform him that he was the father of her child. It was her secret to bear until it was time to tell Tristan the truth. After the death of his mother,Tristan Pierce was angry and lost. He needed to get away and wanted Sydney to go with him to New York but she said she couldn’t. So when Tristan left Sydney behind, he became a different man. Upon Tristan’s return back home, his relationship with Sydney have been a little tense. He’s stubborn and she’s headstrong and so when they have to work on a project together, old feelings begins to resurface. Tristan then realizes that Sydney has always been the one and so he makes it known to her that he will stop at nothing in winning back her heart. As Sydney and Tristan’s relationship begins to get serious, Sydney knows that she must tell Tristan the truth in regards to her daughter. So what happens when Tristan discovers her secret? Will he be able to forgive Sydney for denying him seven years of getting to know her? With all on the line, will Sydney be able to earn back his trust? All Or Nothing At All is a heart-tugging sweet and beautiful emotional second chance romance. Tristan and Sydney’s journey of finding their way back together will make any romance fan’s heart melt. Toss Becca into the mix, you can’t help but smile. Probst did a wonderful job bridging and tying the past and present as we see both sides to their story. The writing was fabulous. These characters will hold a special place in my heart. And the romance was palpable. 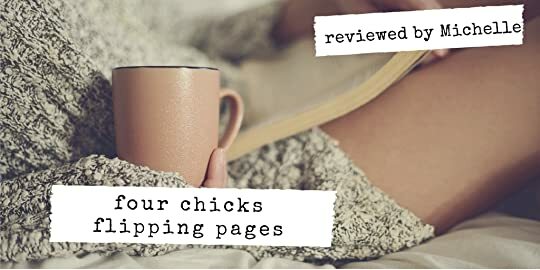 So all there is left to say, go read this book and fall in love with Tristan and Sydney’s emotional journey as they risk it all for love or nothing at all.